While it’s one thing to be the Congress' PM candidate, it’s an entirely different proposition to emerge as an acceptable choice among regional satraps. 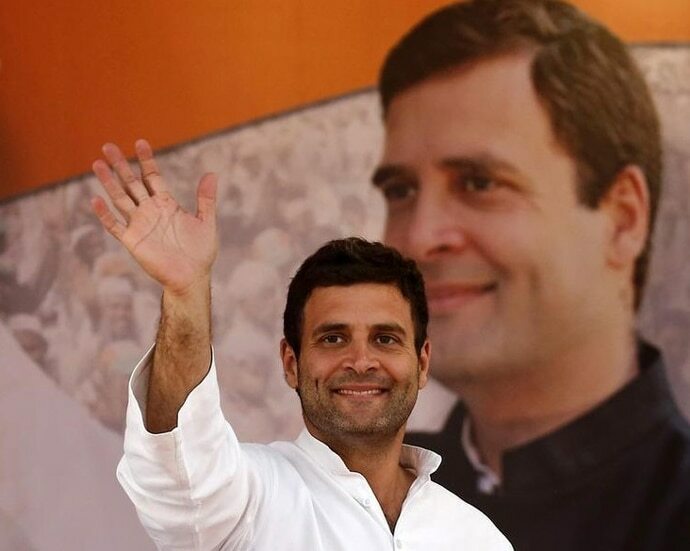 At an outreach programme organised for prominent citizens in Bangalore today (May 8), Congress president Rahul Gandhi stated that he was ready to be prime minister, if Congress were to emerge as the largest opposition party in 2019 general elections. As this comes in the last leg of the Karnataka Assembly election campaiging, it might act as a morale boost for party workers who have waited patiently for the reluctant politician in Gandhi to take centre stage. It was less than a year ago - at UC Berkeley in September - Gandhi declared that he was “absolutely ready” to be the prime ministerial candidate for the general elections. It came in the run-up to the Gujarat elections and was a prelude to his taking over the party’s reins from his mother Sonia Gandhi. While it’s one thing to be the prime ministerial candidate of the Congress, it’s an entirely different proposition to emerge as an acceptable choice for ambitious regional satraps who smell an opportunity to grab the PM's chair in 2019 based on various permutations and combinations. Needless to say, it will also depends on the outcome of the Karnataka Assembly polls, which is just four days away. Although Gandhi may not get much credit - as it happened with Punjab - if Congress comes back to power under Siddaramaiah, his prospects for emerging as the challenger to Modi will get further diminished if BJP were to form the government. It is the Congress’s marginalisation across the country that has given confidence to many regional leaders to become claimants to the top job in 2019. Ahead of the results in 2014, this writer remembers the BJP spokespersons’ jibes against Congress for not touching the triple digit-mark. Even the BJP hadn’t anticipated the Congress ending up with a tally of 44 and being left without a leader of Opposition in the Lok Sabha. While many people expected the grand old party to take corrective measures to prevent further slide, Rahul Gandhi took his own sweet time to finally come to terms with the losses and claim his party’s top position. Meanwhile, the Congress lost power in one state after the other, with Punjab being the only silver lining. In the past couple of months, there has been a lot of chatter about the likelihood of a "third front" or a grouping of regional parties calling the shots after the next elections. Apart from West Bengal chief minister Mamata Banerjee, who camped for four days in New Delhi in March to talk to other opposition leaders, Telangana chief minister K Chandrasekhar Rao too has been flirting with the idea of a regional non-Congress/non-BJP front. These regional outfits expect a repeat of 1996, when no party or front could claim victory, and thrusted the unheralded HD Deve Gowda to the PM post. In fact, the general election of 1996 was an inflection point in many ways. RSS offshoot, the BJP, formed its first 13-day government under Atal Bihari Vajpayee - before he resigned on account of lack of numbers. In the ensuing commotion, the CPI (M) prevented Jyoti Basu from becoming the PM, and Janata Dal’s VP Singh’s name got vetoed by the Congress, finally leading to then Karnataka CM Deve Gowda emerging as the surprise pick. Deve Gowda’s biggest achievement as prime minister was that he was successful in giving hope to regional satraps across the country to aspire for the PM's chair. His defence minister Mulayam Singh Yadav, the then Janata Dal president Lalu Prasad Yadav and a host of others expressed their desire at various times to be the prime Minister after Gowda. Until 1996, despite short-lived governments under Charan Singh and Chadrashekhar as precedents, none of the regional leaders had the audacity to aspire for the top job. Coming back to Rahul Gandhi, what makes it tough for him to emerge as a consensus candidate-regardless of a positive result in Karnataka - is the fact that he hasn’t yet delivered an election victory on his own for his party. Although Congressmen would typically jostle to credit him with victory even in by-polls, his inability to win in Gujarat has been a huge setback to Gandhi’s candidature getting acceptance from allies. A victory in Gujarat - without a local face - would have propelled him to emerge as the natural challenger to Prime Minister Modi. But that wasn’t to be. Now, in all likelihood, it will be a "Modi versus the rest" scenario. Despite the ambitions harboured by the regional chieftains, there is a huge difference between 2019 and the scenario in 1996. Back then, the Congress lost power after a full term and there was no way it could claim to lead the government in a coalition set-up. So, they chose to support from outside the regional outfits led by Janata Dal - to keep the BJP out of power. Therefore, despite the burgeoning ambitions of Mamata Banerjee and K Chandrasekhar Rao, all of them might have to play second fiddle in the post-poll scenario, if Congress can at least garner more than 100 seats (which they should). Even a considerably weakened Congress is poised to make big returns in Rajasthan, Madhya Pradesh, Gujarat and other states across the cowbelt, if recent by-elections are any indicator. But for the Opposition parties to dethrone Modi, they will need some unity in the pre-poll stage to avoid the splitting of votes and making it into an even fight. The Congress, as well as the regional parties, will have to accommodate each other and make some sacrifices to make it a reality. The decisive alliance in Uttar Pradesh between the Samajwadi Party and the Bahujan Samaj Party, extending to the Ajit Singh-led Rashtriya Lok Dal for Kairana by-election is a good omen. But whether it be scaled up to the national level - with Congress as a glue - is for us to wait and watch.